This is entirely up to you! 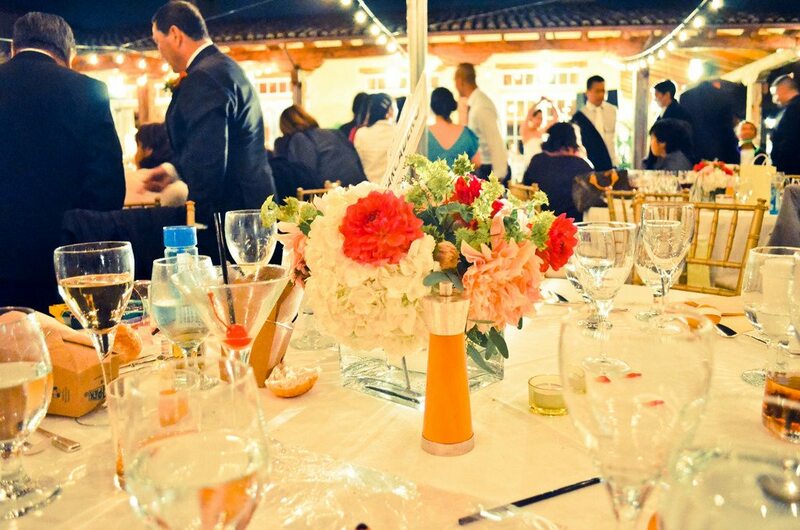 Etiquette dictates the wedding party and parents of the bride and groom must be in attendance, but if you want to invite a slew of other people who are coming to the wedding, feel free! If you want to keep it a parents-and-wedding-party-only affair, that is fine too. Making a larger rehearsal dinner guest list allows you spend more time with everyone, particularly those coming from out of town who you have not seen in awhile. My Partner’s Divorced Parents Hate Each Other. Do I Have To Invite Them? Honestly, it would be worse if you didn’t. Since the parents are hopefully mature adults, place them at tables on opposite ends of the venue and assume they will stay away from one another. If your partner has to have a little “talk” with them to sidestep any “scenes,” make it happen. However, a scene at your wedding rehearsal dinner would be extremely poor taste, so just invite them and move along with your plans. I’m Inviting A Lot Of People And Want To Host The Dinner At A Restaurant/Bar? Is That Okay? Yes! Many people host rehearsal dinners at favorite restaurants and bars, as they provide the ideal casual setting for letting everyone hang out and have fun. Bars and restaurants are also used to accommodating large parties and may be able to set you up with a private room. The wedding is always more formal than the rehearsal dinner, so do not worry that holding the dinner at your favorite lobster house is tacky. Do The Bride And Groom Make Toasts At The Rehearsal Dinner? Generally, no. You have enough to say and do during your wedding weekend, especially if you wrote your own vows. If you would like to do a toast to thank everyone for coming, go for it, otherwise allow others to make toasts, such as the maid of honor, the best man, and your parents. If you feel nervous, keep in mind no one is expecting you to be witty, just a person in love!